Screening tenants is critical to maintaining profit margins because just one mistake means lost income. Renting to a tenant without a rental application is like taking a cross-country road trip without first mapping out your route. The rental application is a road map for the entire tenancy. A completed application provides the opportunity to catch a bad tenant early in the game, and preserves vital information needed to collect any unpaid rent or reimbursement for damages. 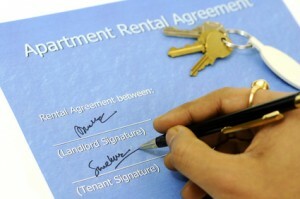 Bad tenants often avoid tenant background checks by hiding behind another applicant. A rental application is designed to solicit personal information, and that means there should be a separate application for each proposed adult occupant, as well as any new occupants during the lease term. Assume you may be left with only one tenant at the end of the lease. You don’t want that to be the one you didn’t screen. There’s no doubt that running a credit report is the fulcrum of a solid tenant screening policy. That information exposes an applicant who does not takes his or her financial responsibilities seriously, and measures whether this individual is capable of staying within budget. A tenant credit report is one of the best ways to catch a problem tenant. Even better, compare the information in the credit report to this applicant’s eviction and criminal history. These reports, used in tandem, color the most accurate picture of the person who will take possession of your rental property. Tenant screening begins the moment you have vacancy. Whether you start showing a unit to prospective renters before it’s fully restored or you leave out important details in your ads, you already are setting the stage for the type of renter you will attract. On the other hand, good curb appeal and a well-tuned rental ad will do much of the work for you. Always present the property in the condition you’d like to see it returned so you don’t send mixed signals. Include details in your ads, including your policy of running tenant background checks, so the lion’s share of unqualified prospects don’t bother to respond. From there, prequalify callers on income, their current availability and any other policies that will be deal-breakers before setting up tours. Time saved early on also increases your odds of finding a renter who can sail through tenant screening.